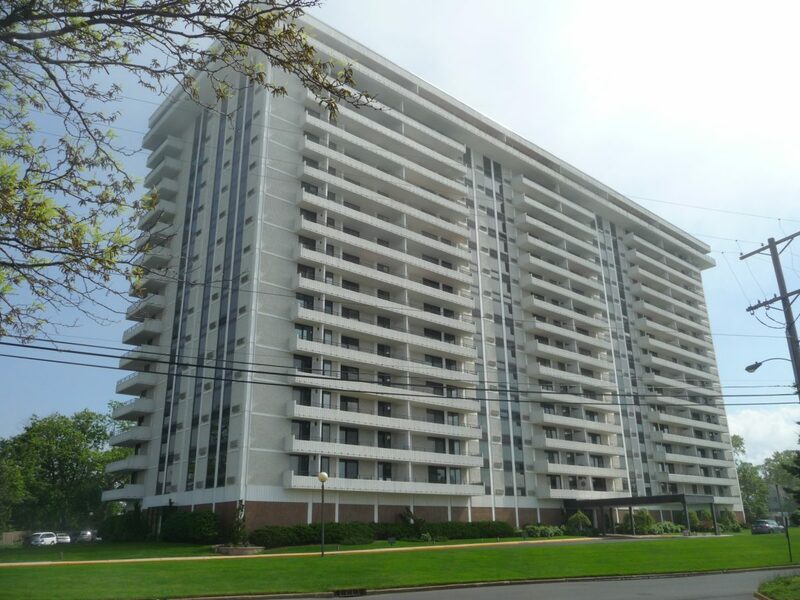 Completed in the mid-1970's and located on the Shrewsbury River, The Channel Club Tower is full-service condominium with a mix of 222 one and two bedroom apartments. The one bedroom apartments with no den have one bath and are 992 square feet in size while the one bedroom apartments with a den have one and a half baths and range in size up to 1161 square feet. 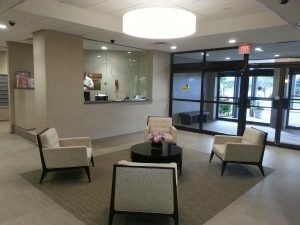 The two bedroom apartments have two baths and range in size from 1354 to 1606 square feet, with the exception of the penthouse apartments. 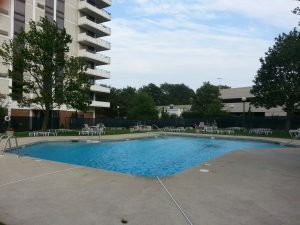 Apartments on the west side of the building enjoy an active view of the Shrewsbury River and the apartments on the east side have a panoramic view of the Atlantic Ocean. 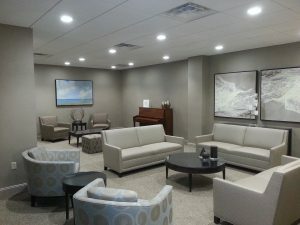 The business district of Monmouth Beach is within walking distance and the Monmouth Beach Municipal Beach is a very short car ride away. For boaters, the Channel Club Marina is right across the street but isn't affiliated with the Channel Club Tower. 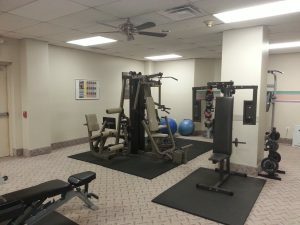 Amenities include heated adult and kiddie pools with a lifeguard, tennis courts, 24-hour concierge desk, valet parking, fitness and cardio rooms, men's and women's locker rooms with saunas, a community room, a bicycle room and additional private storage for each apartment and on-site management. Each apartment has one covered parking space in the garage and there is an open parking lot at the north end of the building. Between the garage and parking lot, there are 452 parking spaces. The Channel Club Tower is pet restricted with dogs not permitted but cats are permitted. Recently remodeled, the lobby has a concierge desk manned 24 hours a day for optimum security. In addition to the lounge area, the social room has a pool table, card tables and a kitchen. The pool is heated with plenty of chairs and is lifeguard protected during the day. The fitness room has free weights and weight machines plus his/hers lockers and showers. 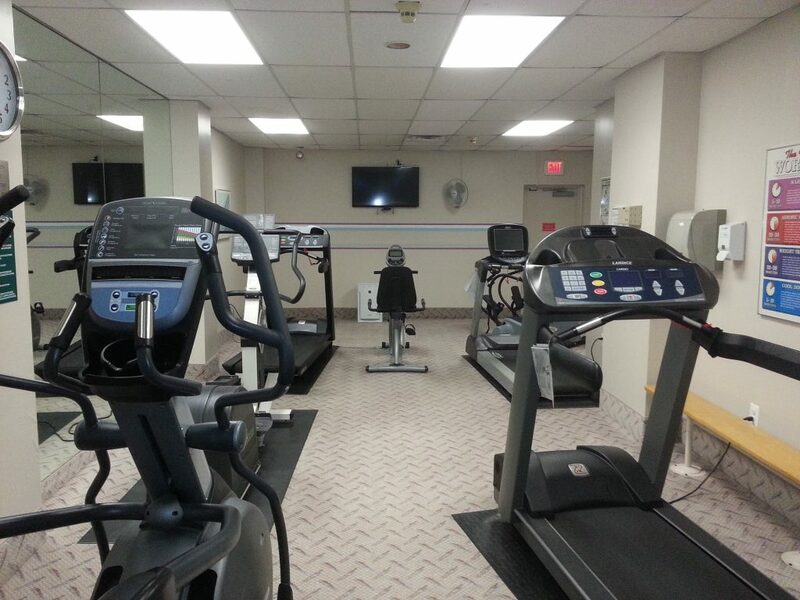 There is also a cardio room with treadmills, stationary bikes and wall mounted televisions. 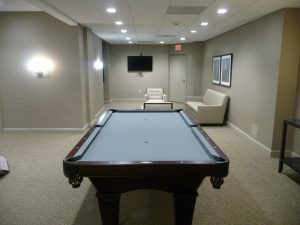 The pool table is in the community room.